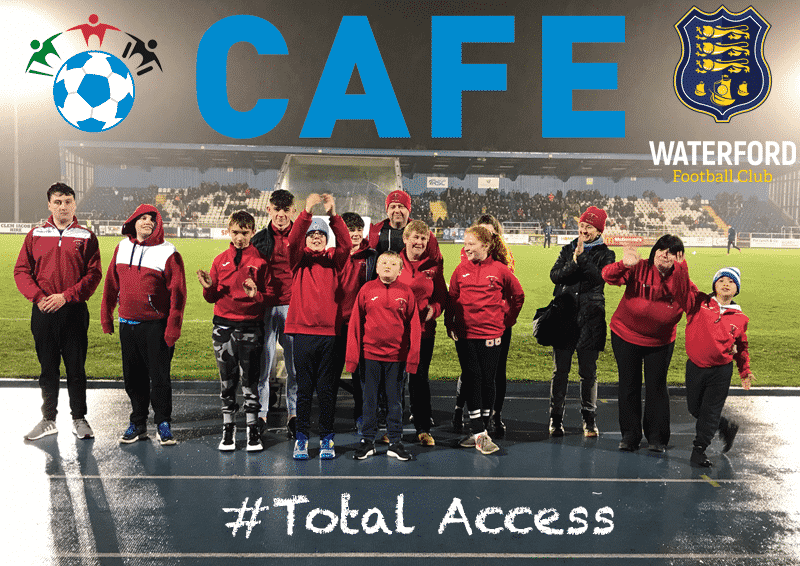 To celebrate CAFE (Centre for Access to Football in Europe) week, an annual event to celebrate the wider inclusion of people with disabilities within football, Waterford FC were delighted to welcome the Park Rangers AFC Football For All team and their coaches to the RSC for last Friday’s Premier Division match against St Patrick’s Athletic. 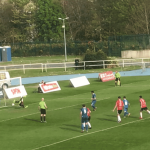 Run under the auspices of the FAI, Park Rangers AFC are one of a number of clubs that run the Football For All programme which has a central aim to deliver football opportunities to people with various disabilities who may not ordinarily get a chance to play the beautiful game. 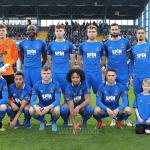 As well as getting to see the Blues beat St Patrick’s Athletic win 2-0, the Park Rangers AFC players were also introduced to the 2,000+ crowd at half time in the RSC to much applause, despite the rain, and got to meet some of the first team players after the match for photographs and autographs. 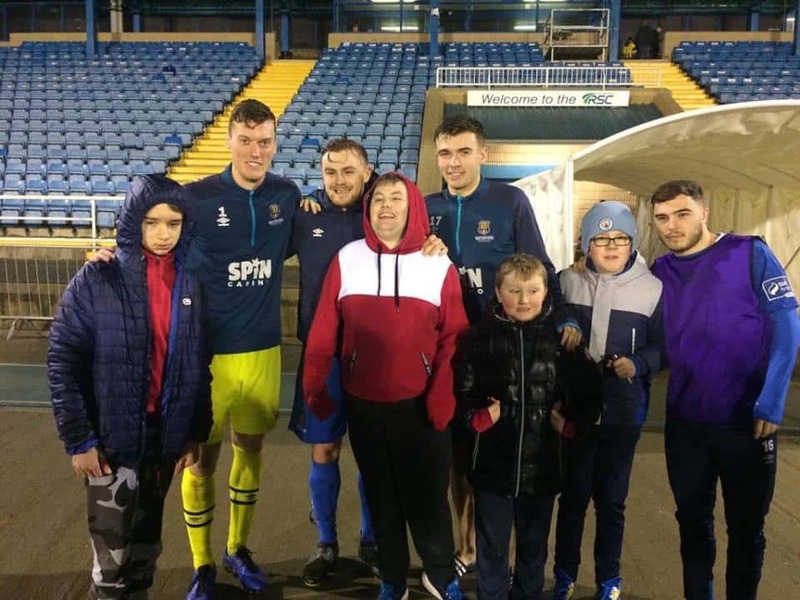 The CAFE Week of Action is a unique opportunity for clubs, venues, federations and supporters groups to celebrate the wider inclusion of disabled people and the important role they can play in both football and the wider society.